If you were following along on SnapChat last week, you probably saw this outfit pop up when I was headed into jury duty. While you certainly don’t have to dress up for this kind of thing, I still wanted to look put together and appropriate. The room we were in was pretty chilly, so I wore my favorite Vince cardigan and my everyday jeans. Since those two items are pretty casual on their own, I thought pairing them with a pretty white button down would elevate the look a little. This sleeveless Equipment blouse is the best! I hate when shirt sleeves get scrunched up under jackets and sweaters, so this top is the ideal piece to layer under all of your favorite toppers. This periwinkle sweater would look adorable with white jeans for Easter! These cherry print pajamas are next on my nighttime list! So cute. Love the sleeves on this Giana blouse (on sale)! If you adore a good floral, try this blouse or this one. Pretty pretty! You can never have too many stripes, and this canopy stripe style would be the ideal transitional shirt. I love how you styled these classic piece! Everything is so classy and chic! That cardigan is the cutest! Obsessed with the color. 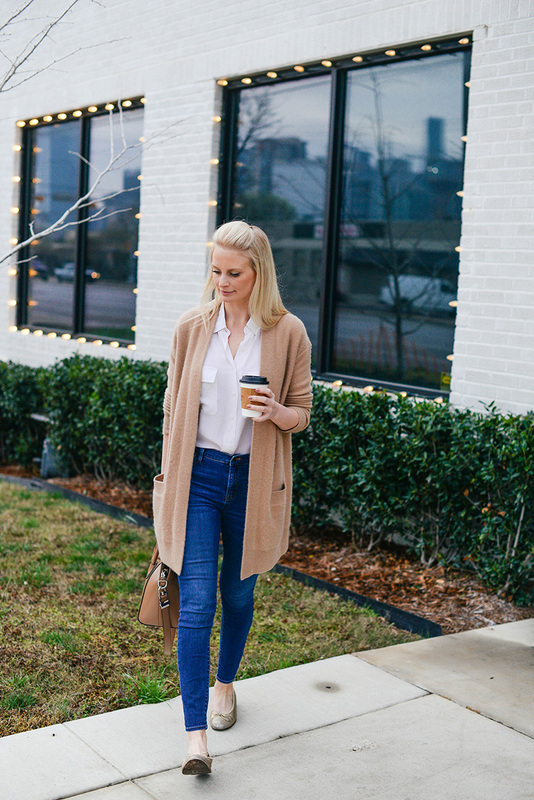 Such a good neutral layering piece! Such a cute casual look! I love that cardigan. 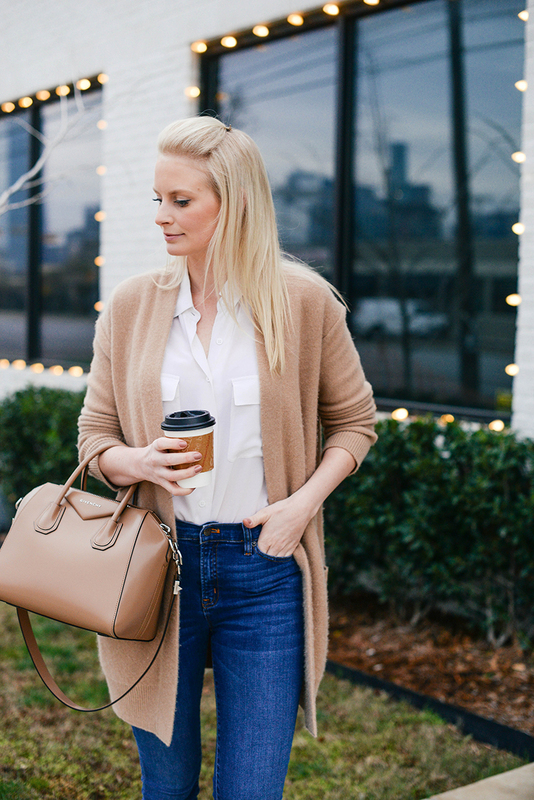 It’s the perfect basic that goes with anything! Ah, that cardigan looks fabulous!